Good morning everyone!!! We have another great challenge for you over at Bitten By The Bug 2. Our wonderfully talented leader Susan has challenged uw to make a project with a Cricut 'Bee' on it. I decided to use the cute bee from the Pooh and Friends cartridge. I cut the one on the front at 3 inches and the one on the inside at 2 1/4 inches. It can be found on page 16. The honeycomb can be found on page 17 and I cut the one on the front at 2 inches and the inside one at 1 1/2 inches. I added some clear Wink of Stella Brush to the wings and some bling to the antennas. I also glossy accented the eyes. I embossed the bg paper using the Cuttlebug Honeycomb embossing folder. On the inside I used the Honeycomb Border embossing folder. The sentiments are from the 'Going Buggy' stamp set from Mary-Cardz TV Stamps. How about heading over to Bitten By The Bug 2 and check out the projects that my DT Sisters made. Awesomeness for sure!!! While you are there, look in the sidebar and see what the rules for our challenges are. 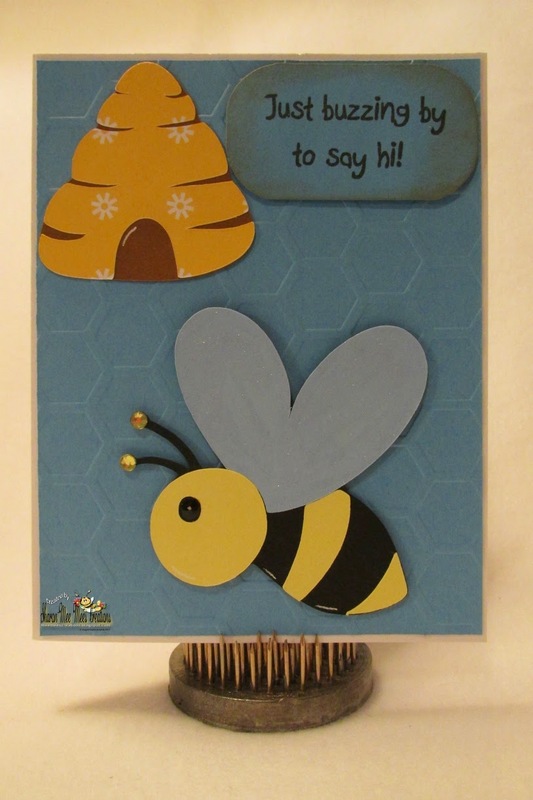 Then head to your crafty space and create a project using a Cricut 'Bee' and link it so we can come by and admire it. 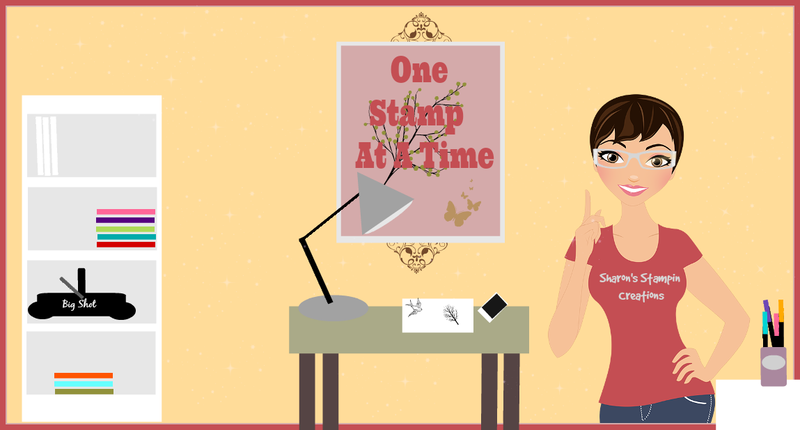 Sharon, such a super fun Bee card Love honey hive!! Have a Blessed day, DIANA L.
I do love your bee card!! Love the embossing and the bee and hive cuts! The colors of your card are so pretty and the sentiment is just perfect! Super fun card, Sharon! 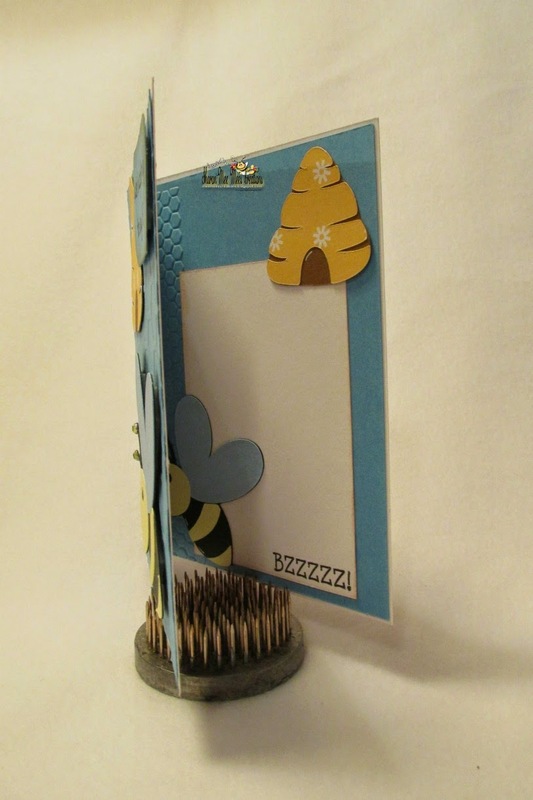 LOVE that bee and your hexagon embossing is perfect! Great job! This is such a cute card !!! I love the bee and the inside of the card is wonderful as well !!! Hope you have a wonderful day !!! buzz buzz - we used the same cuts this week!! great card, he is so cute.